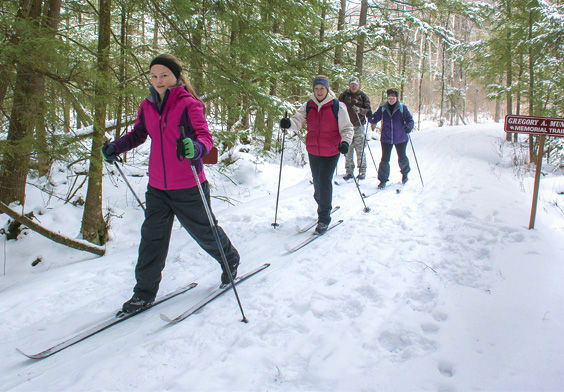 Hike, bike, or ski the beautiful Kinzua Valley Trail in Northwestern Pennsylvania! Travel along the banks of the Kinzua Creek through vibrant forest and marshland bounding with wildlife. Just bring your boots, bike, or skis and take to the trail for serenity or adventure. Snowshoeing is gaining popularity on the trail, and sections of the trail will soon be open for Equestrian Use. With grant funding and the tireless effort of dedicated volunteers, the Kinzua Valley Trail Club added 4 miles to the trail in 2016, 2.5 miles in 2018; and they continue to Blaze the Trail! Presently, the KVT spans 7 miles, starting at the trailhead in the Village of Westline and continuing to Red Bridge Recreation Area of the Allegheny Reservoir. But, work is ongoing to extend the trail all the way to Kinzua Bridge State Park near Mount Jewett for a total of 21 miles! 2018 was an amazing year for the KVTC. I must start by thanking all of our volunteers, members, sponsors and dedicated board members for all they have done and continue to do to make the Kinzua Valley Trail a 1st class destination trail within the PA Wilds’ “Trail Central”. Our accomplishments were many this past year. We have fully recovered from storm damage and our trail is in excellent condition. Resurfacing of Thundershower West towards Libby Run was completed. This summer a barrier/diversion wall was built to stop further erosion west of Markham Run. The forest service installed root balls east of fs321 at the crossing of 150 to help mitigate high flows during storm season. We lobbied our partners (the ANF) hard, to rebuild Camp Run Road this summer, and they did. This included new culvert pipes, adding heavy stone in trouble spots, ditching, grading and installing surface material. this portion of our trail is in great shape and takes us to Olivedale another 2.5 miles added to our trail. The trout opener just keeps getting better each year thanks to our dedicated board members and volunteers. Our main fundraiser, the Moon Dance, was our most successful to date thanks to the generosity of our sponsors and friends. 2018 Annual Moon Dance - (band - Second Act) - see photo gallery HERE. 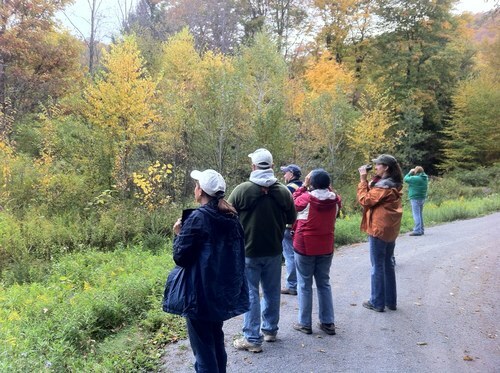 Our dream of reaching US Route 219 by 2019 became one step closer in reality as we were awarded a $137,000 DCNR grant. Construction will begin as soon as contracts are in place and weather permits. Many thanks and appreciation to our in-house grant writing committee for a thorough and professional grant application. This DCNR grant will be used for the section of trail from Camp Run to Olivedale, a bridge across Kinzua Creek, signage and misc. appurtenances. In addition, we were awarded over $22,000 of Act 13 funds to construct our new trailhead at US Route 219 and Westline Road. As we continue to seek out all available funding from the local state and federal levels, we realize that without the local support of our members, supporters and friends of the KVT, we could not have accomplished a fraction of what we have achieved in the last 4 years. 2019 will be a busy year for us. we encourage anyone who would like to volunteer to work on the trail to contact us. Kinzua Valley Trail Club’s goal is to reach the Kinzua Bridge State Park - see you there! The Kinzua Valley Trail Club, a non-profit organization formed in 1999, maintains the trail with the goal of providing accessible outdoor experiences through all four seasons. Dedicated volunteers put in the heavy lifting to keep the KVT in top shape, but none of it would be possible without the financial support of memberships, donations, grants and fundraising events.